With the increasing impact that climate change is having on traditional farming, David Proenza and his company Global Foods determined vertical farming could be an efficient and economical alternative to traditional food production methods. 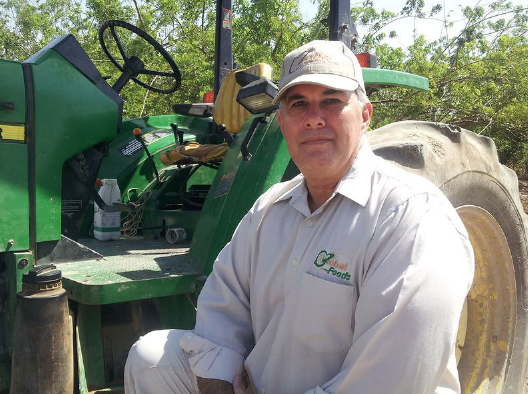 Like other farmers, David Proenza, president of Global Foods in Panama City, Panama, is an optimist, but he’s also a realist. His company has over 300 hectares (741.3 acres) of field production in Panama and it also buys from producers who farm about 150 hectares (370.7 acres) in Panama. His company also purchases and distributes produce grown in Argentina, Chile, Peru and Ecuador. In addition to Global Foods’ field production, it operates about 2 hectares (215,278 square feet) of greenhouses for growing field transplants along with growing tomatoes, cucumbers, bell and chili peppers and eggplants for the local market. Proenza said when his company started researching what was happening worldwide related to climate change, global warming and other weather-related issues, he learned other organizationshad the same concerns.